I get the Honey, Virginia Cedar, Indian Patchouli, Tonka Bean and Lavender and Geranium, it opens up with a smoky, lemon tinged geranium and a bitter, soapy lavender, strong geranium and the lavender is mild. Twenty minutes in and the lavender and bitterness dissipates, in comes a warm, vanilla tinged Tonka bean, and a sweet, syrupy honey, the Tonka is soft and mild honey. After three hours the geranium and Tonka dissipate, the honey softens, in comes a dry, piney, Virginia Cedar, and an earthy with a touch of dirtiness patchouli, the Virginia Cedar is mild and the Indonesian patchouli is soft. Versilia Vintage Boise reminds me of Thierry Mugler’s B’Men and Yohji Homme Yamamoto. B’Men is spicy, musky and woodier, Yamamoto is softer, sweeter and boozy. This is a really lovely spicy, woody composition, that is very warm, vibrant, appealing, timeless, well balanced, smooth, with a little bit of character and flare. Versilia Vintage Boise is a very, aromatic, fresh, balmy, slightly dirty, high quality, medicinal nuances, with soft citric undertones Oriental Woody fragrance. 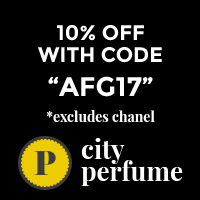 This can be worn all year ’round, it would be better suited for the Spring and Summer, I get average projection and average longevity, this was a great offering from Profumi del Forte. Do you like the line? I haven’t tried any of this line but will have to remedy this soon. This sounds lovely. Thanks for the review and the introduction to this fragrance! I think you might like the line Kandice. Most of them are winners for me. You’re more then welcome Kandice, thank you for reading.